Recently, public attention has increasingly focused on the issue of base erosion and profit shifting (BEPS), strategies of tax avoidance based on the exploitation of gaps and divergences in tax rules in order to transfer profits to low or no-tax countries. [ii] A sophisticated offshore service industry has emerged to encourage the transfer of funds to the so-called tax havens, and evade taxes in the place of origin. [iii] Tax avoidance tends to deplete the resources of all countries, but it is particularly significant for developing and low income ones. According to data collected by the International Monetary Fund (IMF), developing countries tend to be more affected by revenue losses associated with tax havens since they are more reliant on corporate income tax and more vulnerable to tax base erosion. [iv] Such erosion leads to declining public investments in basic infrastructures, which hinders the growth of developing economies. As such, Correa decided to lead an ethical campaign to tackle tax evasion. He depicted tax havens as “one of the biggest enemies of our democracies.”[viii] He even defined tax evasion as a “pressing human rights issue.”[ix] This is because tax avoidance deprives poor countries of the resources to meet their population’s basic needs. Moreover, practiced by the rich, the transfer of money in tax havens only furthers the endemic inequality gap. Correa proposed a referendum, to be voted on in the 2017 elections, on whether to bar public servants and elected officials, with hidden money abroad, from holding their posts. If the measure passes, such employees would have one year to repatriate the capital to avoid losing their office. The Constitutional Court has yet to sign off on the referendum question. However, if voters agree with this ban, individuals will have to disclose their financial standing in order to be eligible for public office. This could have beneficial effects, forcing many to repatriate important assets and invest them in Ecuador, but it could also prevent the most affluent from presenting themselves as candidates, undermining the opposition’s prospects. Correa’s fight against tax evasion can be viewed as an earnest initiative to implement the doctrine of 21st century socialism, which views the role of the state as the redistributor of wealth. In this context, Correa wants to prevent rich Ecuadorean “capitalists” from transferring their money abroad. Instead, he intends to use their resources for public spending in poverty reduction initiatives and infrastructure projects. According to the Ecuadorean President, economic growth has to be redistributive; it has to be a “growth that favors the poor, growth with social justice, growth with equity.”[xv] In several circumstances, Correa pointed out that socialism has succeeded in Latin America, notably in Ecuador. Indeed, under his government the poverty rate dropped significantly from 37.6 percent in 2006 to 22.5 percent in 2014. [xvi] Much of his popularity can be attributed to public spending on roads, hospitals, and schools. Among the measures undertaken to eradicate poverty, the minimum wage was raised from $170 USD to $240 USD per month, cash transfers were introduced for those living in extreme poverty, and subsidies for electricity, gasoline, and natural gas were established. [xvii] Even if the financing of those social programs has been depleted by, above all, the significant reduction of oil revenues since late 2014, Correa’s popularity seems not to fade. In the last survey conducted by Opinión Pública Ecuador, in October 2015, the work of Rafael Correa was judged as good or very good by 67 per cent of the population. Coming into office, Correa was not a politician but a western-trained economist. According to his platform, he intended to relieve his country from poverty and ensure a redistributive and inclusive growth that would guarantee development of the population, including indigenous people, while respecting the natural environment for a more equitable society. In accordance with this, he set up social programs to the benefit of the poorest and launched a campaign against neo-colonial relics, multinational appropriation and corruption. The country’s oil boom financed social programs, but resulted in a shortage of resources when oil revenues plummeted. After the Panama Papers were disclosed, Correa launched a campaign against tax havens domestically and internationally. With Correa’s tenure drawing to a close, the tax-avoidance referendum – announced to spotlight people with hidden capital abroad holding public offices— as well as the launching of an international campaign against capitalists’ abuses, can be considered as one last populist move to boost the president’s role as a leader of socialism in the 21st century. 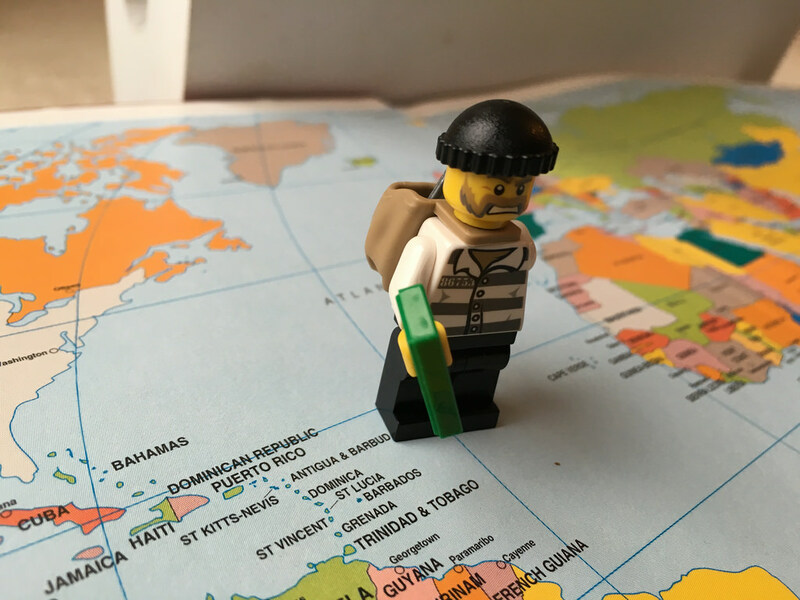 Featured image: Panama Papers Lego man. Taken from Flickr. Caos y Anarquía en Ecuador: ¿Un Golpe de Estado? October 1, 2010 COHA Comments Off on Caos y Anarquía en Ecuador: ¿Un Golpe de Estado?